Welcome to the clash of control and aggro, the home of the blues and the birthplace of rock n' roll. This is Grand Prix: Memphis, where you can expect terrific events for everyone, artists with beautiful works on display, and outstanding Magic action all weekend long! Be part of this fun-packed weekend, and if you happen to see Elvis, make sure to get a photo or two to post on Facebook! The venue is accessible from the Memphis International Airport via car or public transportation. MATA provides transportation between the airport and the downtown North End terminal on Route 2 and Route 4. Bus service runs every day of the week - please call (901) 274-6282 for schedule times. 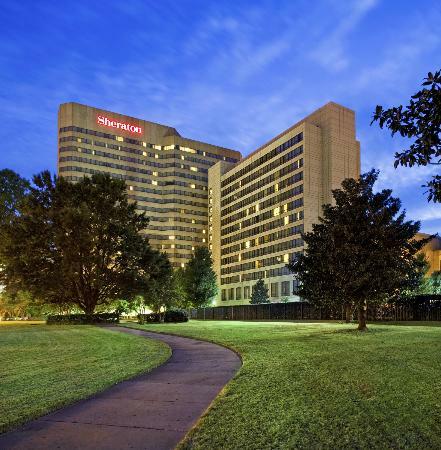 For your convenience, a discounted room block as been established at the Sheraton Memphis. This is the closest hotel to the venue. The room rate is $119, from single to quad. Free wi-fi will be provided to our guests. In addition, a discounted valet parking rate is $18/night. The room rate expires on 1/28/15 - please make your reservations early. Grand Prix Main Event registration will be available on-site Friday 12 PM until 9 PM. Registration will be available online until 9 PM on Friday, 2/20. Please Note: Deck lists are required. Players with Sleep-In Special and byes, should email their decklist to events@pastimes.net by 9am Saturday morning. All other decklists will be collected during the Players' Meeting Saturday morning. Throughout the weekend Pastimes will be hosting Qualifiers for the Magic Multiverse Weekend Championship in many major formats of Magic. Play in a Qualifier and earn a seat into the Magic Multiverse Weekend Championship on Sunday afternoon and enjoy some truly great fun and prizes along the way! The winner of the Championship will earn an amazing trophy along with a $1,000 travel award to either Grand Prix: Dallas/Fort Worth or Grand Prix: Indianapolis as well as a free VIP Entry!! The art from Fate Reforged is amazing. Grand Prix participants will receive this exclusive playmat by UltraPro Featuring the art of Whisperwood Elemental by artist Raymond Swanland. Exclusive Grand Prix Playmat guaranteed with Main Event entry! Play in any side event at Grand Prix Memphis for a chance at winning a limited edition playmat. Playmat image coming soon! Like us on Facebook for the latest information. We have invited some of the best vendors in the country to be on hand to serve all of your Magic needs. Whether you're finishing a deck, foiling one out, or completing a collection, these fine vendors will be here to help you.